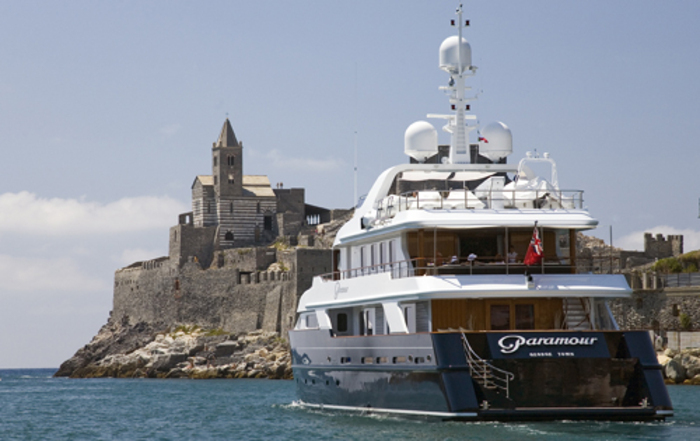 When the world’s most celebrated and glamorous descend upon the French Riviera, blend in seamlessly on PARAMOUR; 43 metres of pure luxury and elegance that will wow friends, family and passers-by alike. 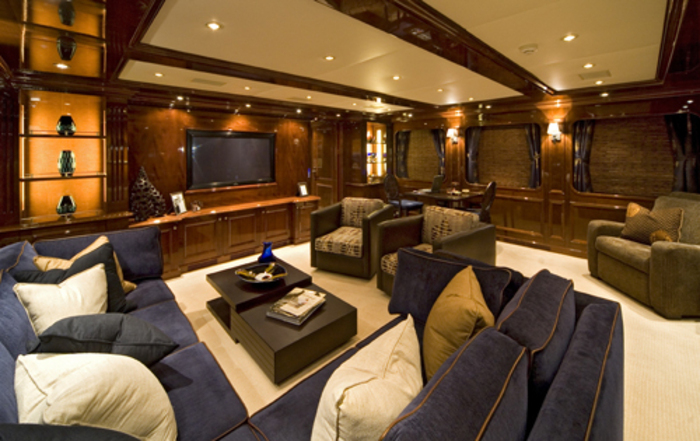 When you feel like escaping the city’s party atmosphere, Paramour’s interior is no less impressive than her exterior. Elegantly designed throughout with wood linings and plush furniture, you’ll be able to relax in supreme comfort. Both the Salon and the Sky Lounge are spacious and peaceful, providing the ideal space to entertain or to enjoy your favourite films or music whilst the welcoming crew of 9 tend to your every need. All of the 6 staterooms are similarly supremely elegant with wonderfully inviting beds and spoiling, marble-lined en suite bathrooms. 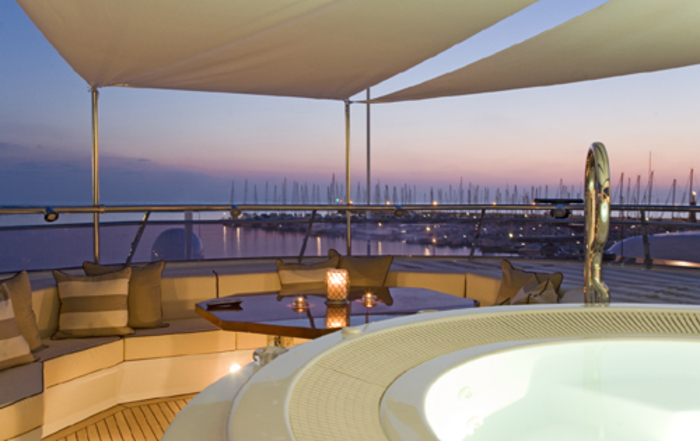 During the day, sink into the jacuzzi and soak up the sun with a cocktail from the adjacent bar or watch the world go by from the on deck dining area. All of this luxury comes at surprisingly affordable rates with the owners having secured and paid for your berth, allowing you just to sit back and relax in the place to be and to be seen in May 2014. 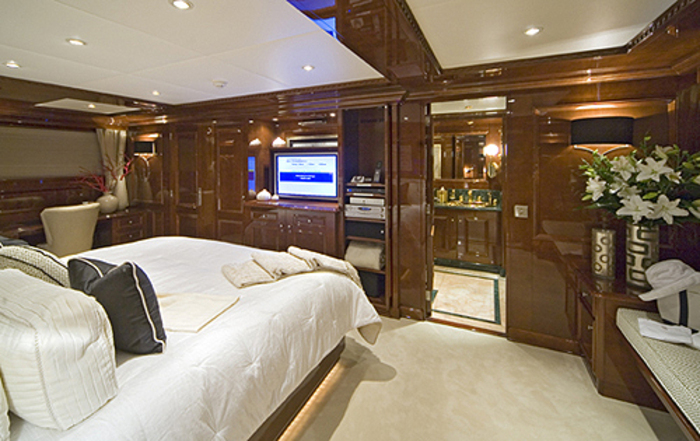 Available between 19th and 25th May, contact us for more information on chartering PARAMOUR.